Dr. Richard Schneider is an overachiever in many ways. He’s a pathologist at two hospitals — one in Hollywood, the other in Lynwood. He’s the mayor of South Pasadena. And he’s biked to work nearly every day since 1977. While there are bike lanes on his way to Hollywood Presbyterian Medical Center, his route to St. Francis Medical Center in Lynwood has no bicycle markings at all. He simply pedals down a combination of quiet residential streets and major arterials, carefully detouring to avoid the intersection where the 710 spills onto Atlantic Boulevard (“You get ‘scissored,’” Dr. Schneider said, describing the car traffic entering and exiting the freeway). 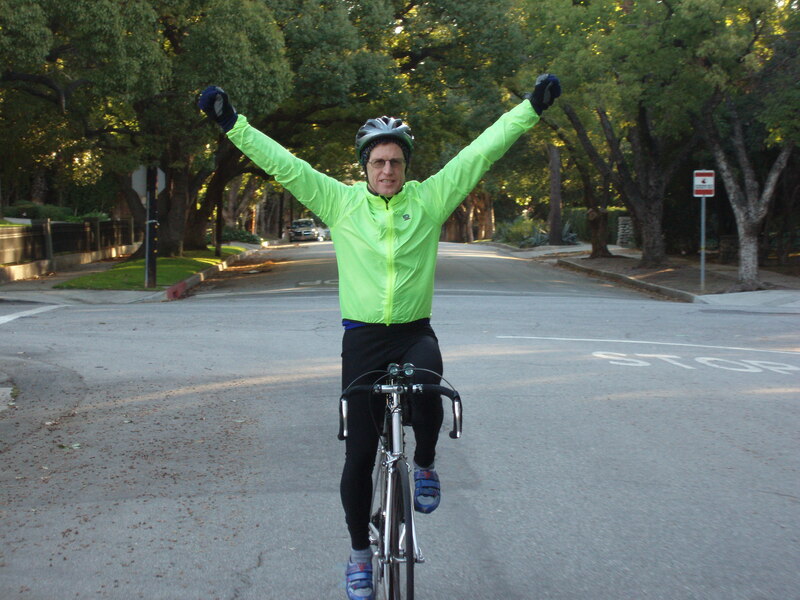 Thanks Dr. Schneider for being such a visible advocate for safe bicycling! With help from our generous Bike Week sponsors, we’ve sent you a Nathan safety vest, RydeSafe reflective decals, Clif Bars, and a free year of bicycle roadside assistance from Better World Club. Dr. Richard Schneider hit the nail on the head when he stated, “You can keep your sanity by riding.” Haha. Mayor Schneider is amazing. Have seen him riding his bike and for him it’s just a usual thing, not an event to brag about. Growing up knowing his family and going to school with one of his kids I didn’t know this about him at all (had learned since). He is a great choice for this. How ’bout extending the Arroyo bike path through So. Pas. and on to the Rose Bowl?? ?